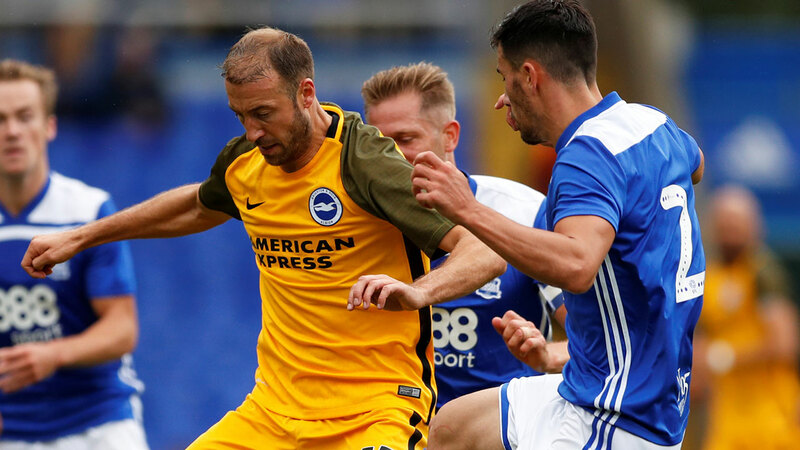 "Hughton’s big decision is whether to stick with Glenn Murray upfront, or hand Florin Andone a start after he nodded the winner as a substitute last weekend"
Match Odds: Crystal Palace [1.9], Brighton [5.0], The Draw [3.6]. After victories for both Crystal Palace and Brighton last weekend, both sides now look safe from relegation danger, following a nervy couple of months. Now, they can relax a little in terms of their league position - and focus on this hotly-contested derby. Palace have home advantage here and start the day three points and two places ahead of Brighton in the table. Roy Hodgson's side are playing good, cohesive attacking football with a mixture of possession play and counter-attacking threat, and now offer a serious goalscorer upfront in the shape of Michy Batshuayi. Hodgson doesn't appear to have any new injury problems for this game, although Mamadou Sakho is still unavailable. He'll be tempted to name an unchanged side from the XI that won 3-1 away at Burnley last weekend, although there's a good chance that Andros Townsend and James McArthur, both lively in the home defeat to Manchester United in the previous game, will return here. Hodgson has changed approach this season, and is capable of deploying either a 4-4-2 or a 4-3-3 here. In the former system, Wilfried Zaha would partner Batshuayi, with Townsend playing a more conventional midfield role on the right. In the latter formation, it's Townsend and Zaha either side of Batshuayi, and that's the more probable approach here. In midfield, Hodgson has options. Max Meyer, more accustomed to being a supersub, started away at Turf Moor last weekend but wasn't particularly impressive. That means McArthur could return in the middle alongside Luka Milovojevic, with one of Cheikhou Kouyate and Jeffrey Schlupp completing the midfield trio. Aaron Wan-Bissaka was excellent against Burnley last weeked, having missed the Manchester United game, and should continue on the right here, with Patrick van Aanholt pushing forward to combine with Zaha down the left. Scott Dann and James Tomkins have a good relationship at the back. In goal, Wayne Hennessey didn't look entirely comfortable at Burnley and therefore Vicente Guaita could return between the posts. 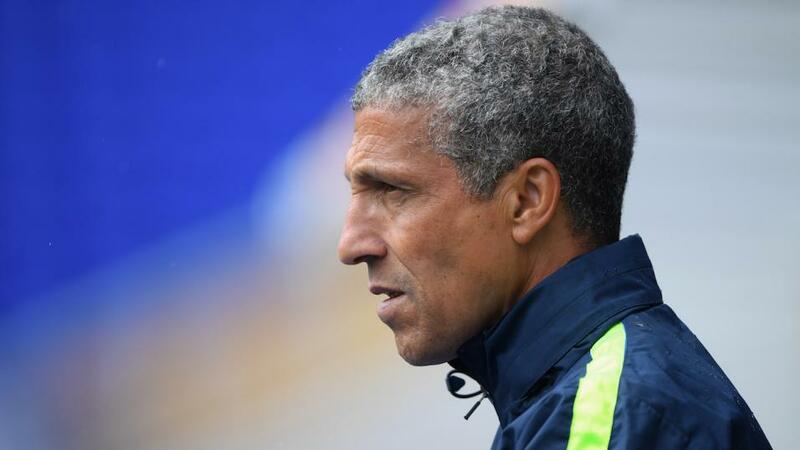 Chris Hughton's tactical approach could be compared to Hodgson's - although traditionally a 4-4-2 man, he's favoured 4-3-3 over the past couple of months. Hughton's big decision is whether to stick with Glenn Murray upfront, or hand Florin Andone a start after he nodded the winner as a substitute last weekend. He's better at running the channels and could be a superior option against a Palace side that defends relatively high up the pitch. The wingers last weekend were Anthony Knockaert and Alireza Jahanbakhsh, who both offer a good counter-attacking threat. However, you wonder whether Hughton will be more cautious against a Palace side with two good wingers - Solly March could make a return to the side to help double up against Zaha or Townsend. Pascal Gross probably won't make this game, which means continuing with Dale Stephens, Davy Propper and Yves Bissouma in the middle. Bissouma has looked lively in recent weeks, getting stuck into tackles and pushing forward to provide some creativity on the edge of the box, and he could be prominently involved here. Defensively, it's likely to be unchanged. Shane Duffy and Lewis Dunk remain excellent in the air, but will hope they don't become exposed to the trickery of Palace's wingers. Left-back Bernardo and right-back Martin Montoya must perform well in one-against-one situations out wide, while goalkeeper Mat Ryan might be busy here. I fancy Palace here. Brighton are in desperately poor form - I'm reluctant to read too much into their unconvincing 1-0 win over a dreadful Huddersfield side last time out. The trickery of Palace's wingers, the off-the-ball running of McArthur and the added goal threat of Batshuayi makes Palace a fearsome side. That said, I'm slightly underwhelmed to see them available at only [1.9]. Instead I'll back Crystal Palace to win 1-0, at [7.2] - I think one goal will be enough to win this one. The Eagles are flying high at the minute, losing just one of their eight matches in all competitions (at home against Manchester United), including winning three of their last four on the road. Brighton, on the other hand, have got just one point from their last six away and have struggled on the road all season, picking up just eight points. Given the Seagulls record on the road it’s no surprise to see the home side trading odds-on at around [1.9] but that looks a fair price to me. Palace seem to running into a rich vein of form at the right time and have scored in each of their last 12 games, hitting 10 goals from their last four outings. Brighton are five points ahead of third bottom Cardiff and they still have to play the Bluebirds at the Amex before the end of the season. So, while they are by no means safe, they know their destiny is very much in their own hands and maybe have their sights set on FA Cup glory and taken the foot off the Premier League pedal a little. The main bet is to back Crystal Palace to win at [1.9] but I am also backing Roy Hodgson's men to score two or more goals in the game on the Sportsbook at even money.